See OPEN activities in action, and learn to take your program to the next level with an on-site OPEN training. 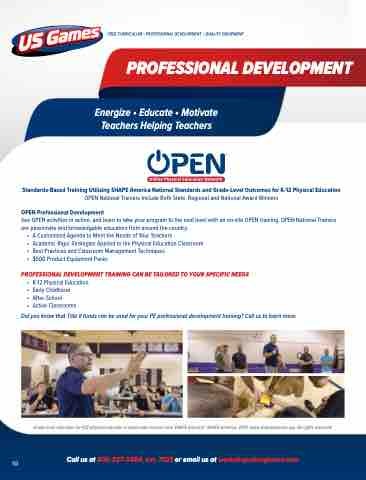 OPEN National Trainers are passionate and knowledgable educators from around the country. Did you know that Title II funds can be used for your PE professional development training? Call us to learn more. Grade-level outcomes for K12 physical eduction is used under license from SHAPE America© SHAPE America, 2013, www.shapeamerica.org. All rights reserved.